These words, preserved as black fire on white fire in the Torah scroll, were read aloud on the holy Shabbat this week in our locked-down shul. How Do We Respond to the Tragedy in Pittsburgh? But I am not here to write a theodicy, dear G‑d. I am here to talk to You, and to issue an invitation. I have three young children, and they all love going to shul. This Shabbat morning we got out early, rain jackets zippered against the damp and the drizzle. The youngest, just 18 months old, broke free of my handhold to chase her older brothers down the street. I was already thinking about this verse; “I will descend now and see.” Not because I had any premonition, but because of its fundamental theological intimations. Is this a Divine admission, that You, G‑d, are somehow aloof, transcending the hum-drum concerns of earthly life, activity and death? Or are You indeed present as “an eye that sees, and an ear that hears” (Avot, 2:1), perhaps even a heart that cares? My own children are downstairs in the basement social hall. There, we hope, they will be safe … so long as no gunman breaches our serene cocoon of a locked-down shul. The information has come from people in the street, and we have acted on the information that we have. But there is no panic, no pressure. It’s Shabbat, so we do what we do every Shabbat. We pray, we study, we talk, we sing, we eat, we drink. Despite the horror that we know is unfolding mere blocks away, the Shabbat itself protects us from its own desecration. We hear no sirens. None of us have phones. There are no beeps. No buzzes. No images. It is just us. A community in shul. On Shabbat. Soon we receive confirmation that the gunman is contained. My wife and I take the kids home for a late-morning nap. A little later, the whole family walks north—through the all-too-quiet streets into the heart of Squirrel Hill—to keep a Shabbat lunch appointment with another family. This brings us much closer to the action. News vans roll by, so do emergency vehicles. When we encounter other members of the Jewish community, we wave and warmly wish them “Good Shabbos!” or “Shabbat Shalom!” and then stop and quitely share what we know, how we heard, etc. It’s clear by now that we have suffered a tragedy that we really can’t quantify—and that our community is at the center of an international news story. And yet, it is Shabbat. It is after Shabbat that I begin to shake. I first check in with family and friends. Then I read the news and try to process what has happened. What does it mean? For me, for my family, for the Jewish people, for America, for the world? What does it mean for You, dear G‑d? 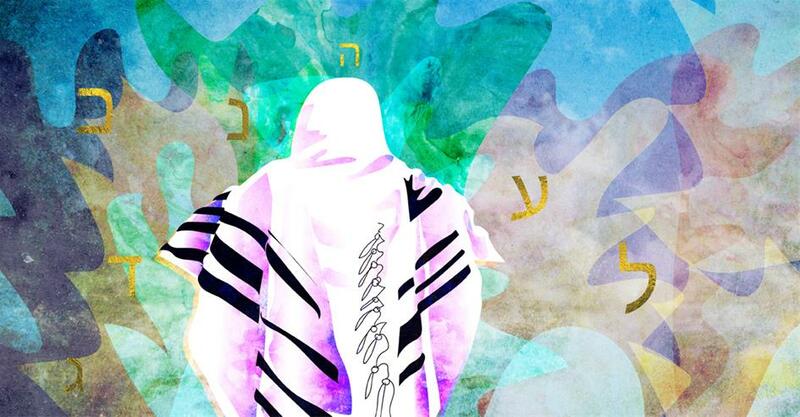 To believe in G‑d is to believe in judgment and justice, to believe that there is an ultimate measure of good that humanity can strive to emulate. Without a fundamental belief in the Divine measure of good, we are mere humans, left to fend for ourselves in this big lonely world. Faith does not provide us with any easy answers, but it does provide us with something to live for beyond the narrow question of our own comfort and survival. Faith in G‑d gives us faith in humanity, and it is precisely when that faith is betrayed that we cry out in pain, that we feel violated and shattered. Pain is a sign of faith. It signals our belief that this world can be raised above its station—that human beings can overcome self-interest and put the needs of others ahead of their own. But the Rebbe makes another, even more important point. It is not simply enough to memorialize the massacred and vilify their murderers. We need to act to ensure that our faith, and the faith of the victims, lives on. We need to enact good in the world. We need to live good lives. We need to put the collective needs of our communities before our personal priorities. Pittsburgh is that kind of place. This is a community of believers. A community of people who act for the good of the collective, people who put others before themselves. It is in this spirit that I write to You, the One by whose word all comes to be; I write to You with the suggestion that Your eternal word shall issue forth anew, “I will descend now and see if the cry that has reached me represents what has been done.” Come and take a look at this community, make Your presence known. These are trying times. People are losing faith in one another. We could use some Divine intervention. In these times, Pittsburgh’s Jewish community stands like an oasis of faith, a beacon of unity. Come and see. Come and be seen. Are we not worthy? It is time for a new day to dawn. A day that is entirely Shabbat. A day without ambiguity. A day of revelation and song. Eli Rubin studied Chassidic literature and Jewish Law at the Rabbinical College of America and at Yeshivot in the UK, the US and Australia. He has been a research writer and editor at Chabad.org since 2011, focusing on the social and intellectual history of Chabad Chassidism. Through his writing, research, and editorial work he has successfully participated in a range of scholarly interchanges and collaborative endeavors. Is this a wake-up call? How can I say this without offending you? In Israel, we suffer similar tragedies frequently. In Israel, we understand that this sacrifice is part of the process of preparing the Holy Land for the final redemption. So I have 2 questions. 1. Where is your outpouring of eloquence when we, who include you, suffer outrages here? 2. What greater purpose did your tragedy serve? The message of the centrality of the Holy Land, mentioned countless times daily in our prayers, is not part of the American Jewish narrative for the vast majority of Jews in all its forms. With 70% intermarriage and a growing xenophobia spreading, isn't it time for someone to stand up and say "It's time to go home".